So for Harps big day I am planning an extra over the top outfit of course which is where most of my "planning" is headed. I am thinking black and white (since its my favorite trend right now) and summery bold colors like a poppy red, fuchsia, radiant orchid, a touch of a sea foam or mint, a little coral, and just to break up all the pink tones and of course some g o l d! I am also thinking florals and hearts! This seems like a lot going on now that I am typing it but I just have a vision OK. hehe. (PS- Do I sound outrageous for over a color theme for an outfit?! I kinda feel like it but its pretty much the equivalent to a party so that's how I'm justifying my cray cray ideas.) I was also planning on doing a cake smash photo session since I never did one last year for her first birthday and I was thinking of doing the same color theme and finding a cute swimsuit to do that in! Two year olds can still have cake smash's right?!? So our plans for her special day will be her going to school in the morning and I will take the class and teachers a little birthday treat and then momma can sneak away and go get ready for the day. Then I was thinking of taking her to get a pedicure and manicure since she loves getting her nails done and she is my little girly girl. Then maybe a quick stop at the zoo or a splash pad/pool. I haven't decided yet. Then maybe some toy shopping at toys r us and then off to dinner at her favorite sushi place with some close friends and the grandparents. 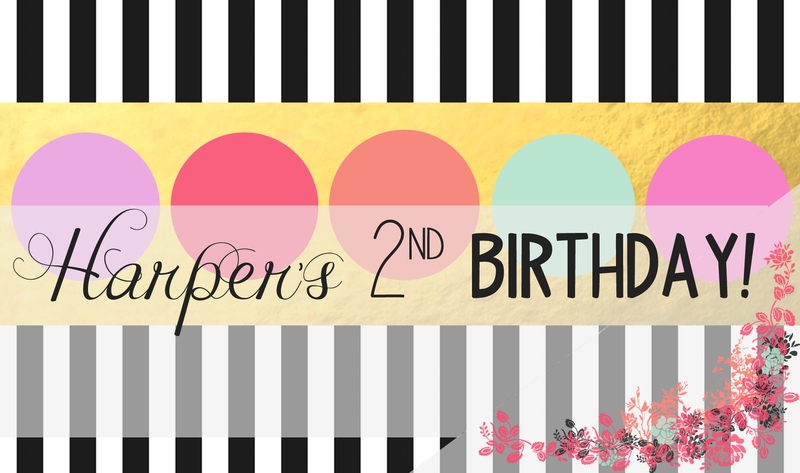 I'm not sure if we will be able to pack that all into one day but I just want her to have the best second birthday! Anyone else planning birthdays soon?? Let me know what your plans are! Amazed to see such a lovely party planning in quite less time. My colleague is also very good at new and super cool ideas. Her parties are a majorly to be attended to enjoy cool arrangements done by her. Last month, one of the everlasting event space Atlanta was booked by her with exotic luncheon and drinks for her anniversary treat.